I visited this area in early 2019. During my work, I have been to many temples, and often to the same ones repeatedly; so I tend not to visit them on my own time. I felt I needed to see Angkor Wat, as I was in Cambodia and staying in Siem Reap, which is very close. The name Angkor Wat refers to a specific temple, the one that I visited, and the most heavily frequented by tourists. However, the name is often used generally to refer to a range of many different temples, some of the same time period, some not, some in restored condition, some not. 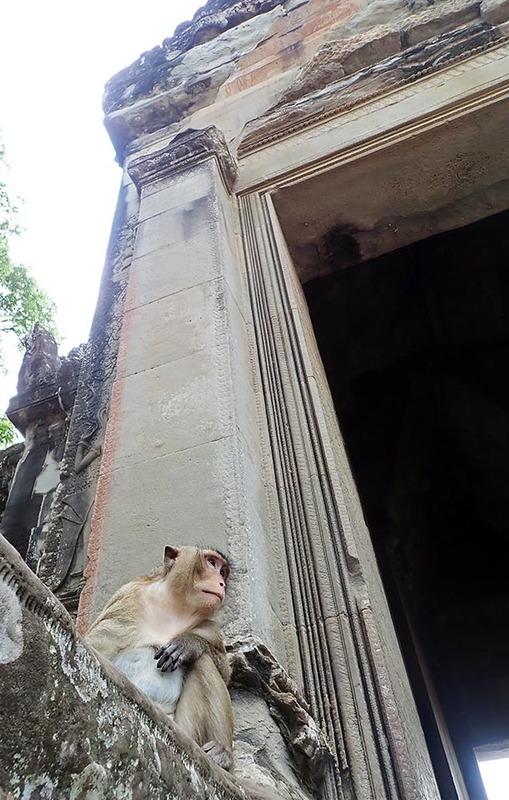 The most common animal around the temples are of course the ubiquitous Long-tailed Macaques. Many are fat from eating handouts. For me, the highlight is the other common mammal in the area; the Variable Squirrel. 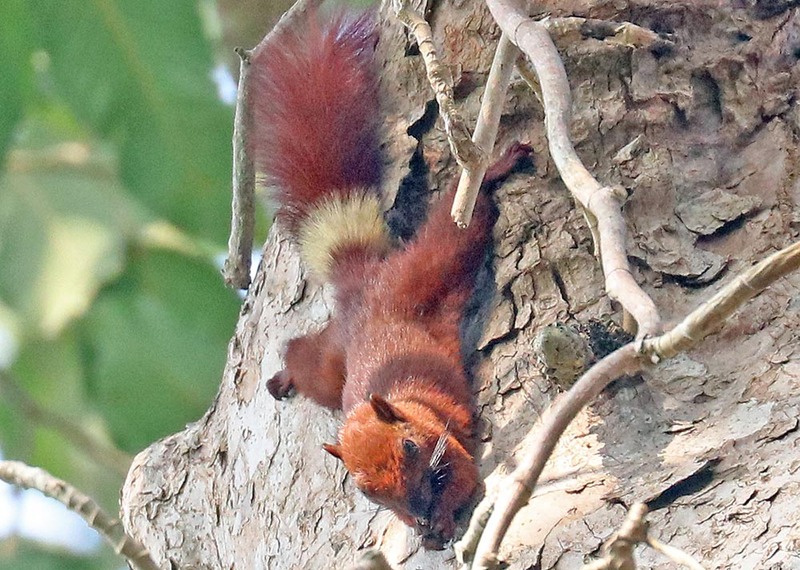 As the name suggests, this squirrel comes in an amazing range of colours and patterns. 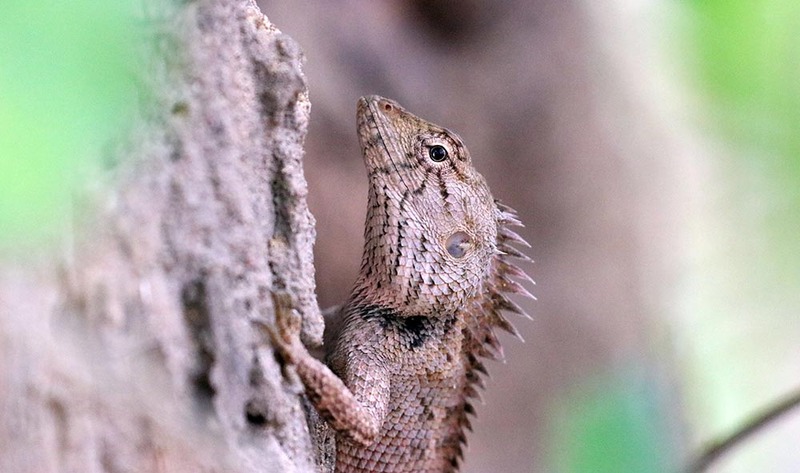 This local variation Callosciurus finlaysonii annellatus, is mainly rufous, with a distinct white band at the base of its tail. Access is pretty straightforward. 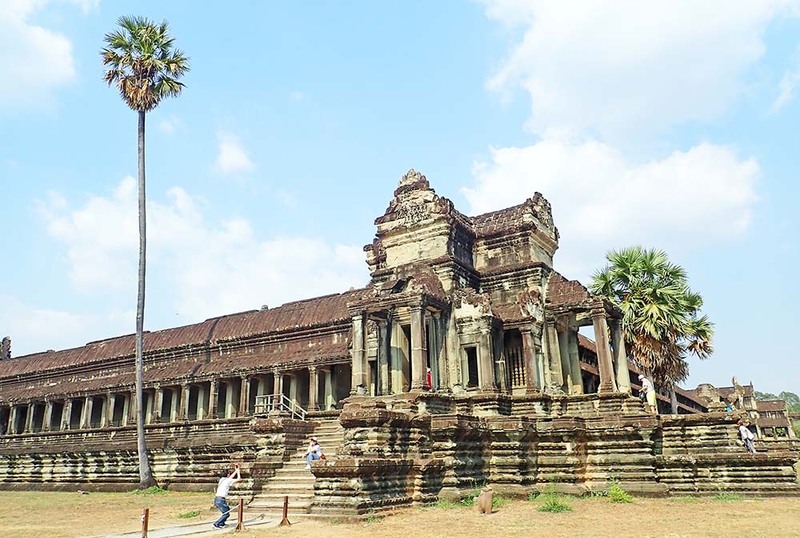 Many companies actually fly direct to Siem Reap from various Asian cities. Once in Siem Reap, it is a half hour and cheap tuk-tuk drive to the temples. Siem Reap in a nice town, and now has a huge range of boutique-y cafes, restaurants and hotels, some tucked away in alleys. While in Siem Reap. there is not much nature to be seen, except for a large colony of Lyle's Flying Fox at the Royal Gardens. The town is also the jumping off point for many nature tours. The ecotourism company Sam Veasna is based here. The closest nature tour is the water bird sanctuary, Prek Toal, a few hours away.